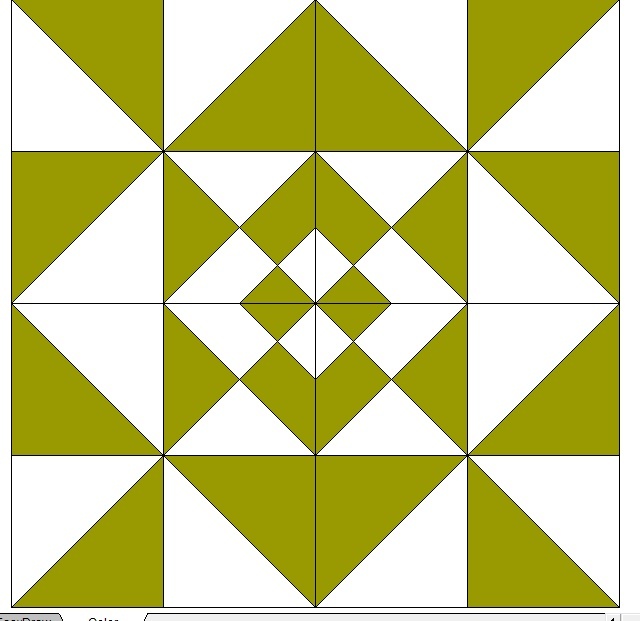 I recently had the opportunity to write a tutorial for the Modabakeshop. 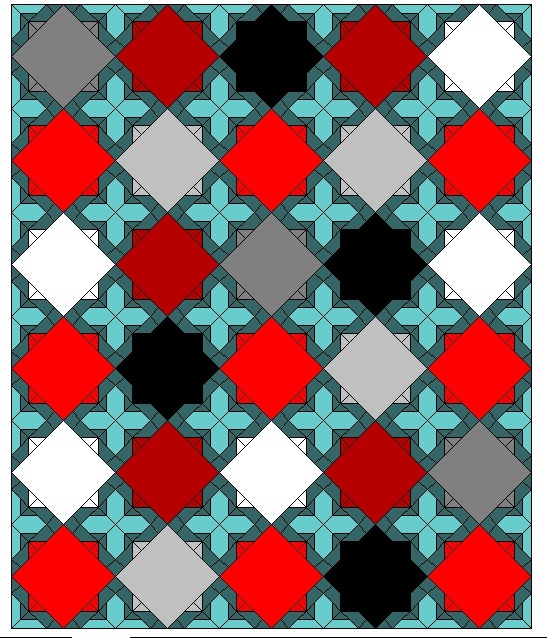 Me and My Mum had lots of fun making several versions of this versatile pattern. 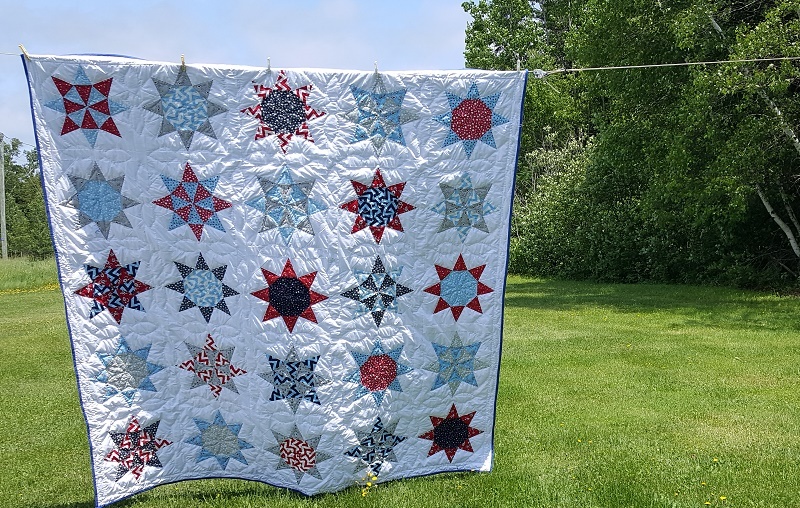 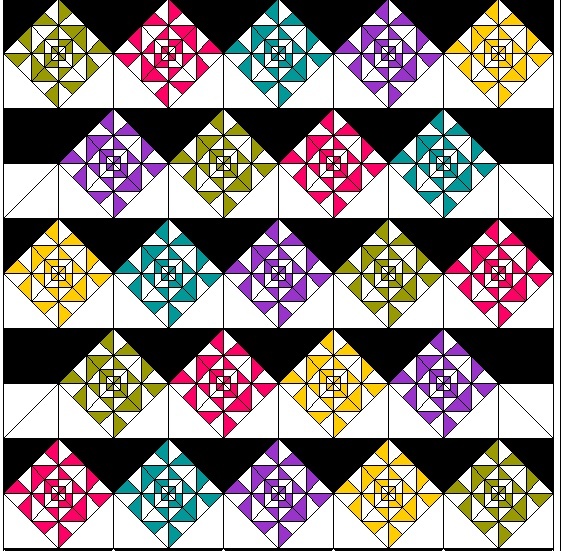 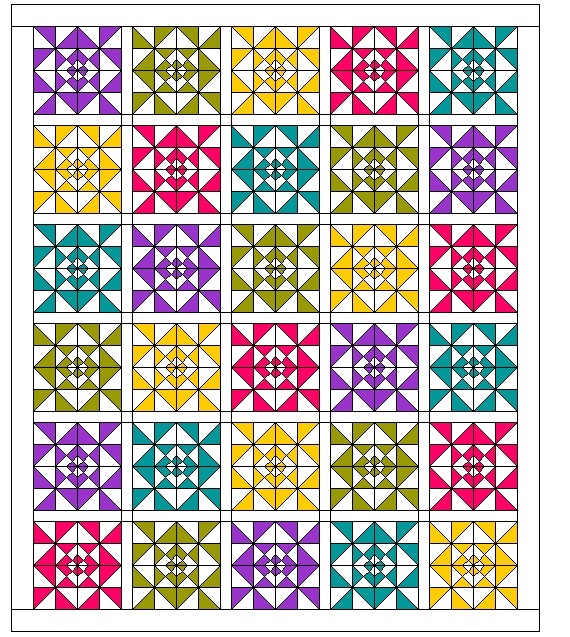 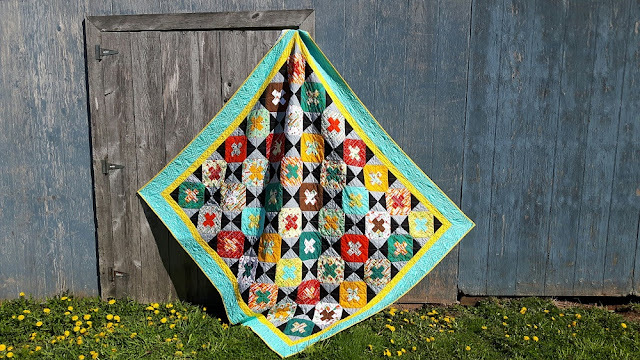 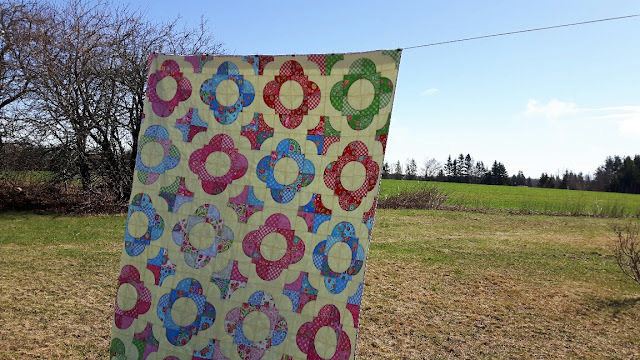 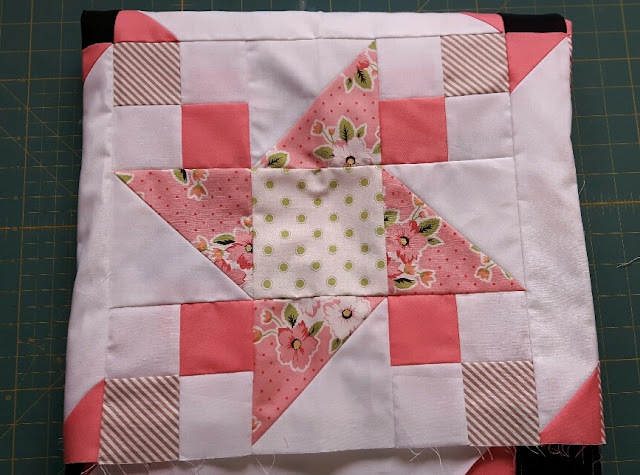 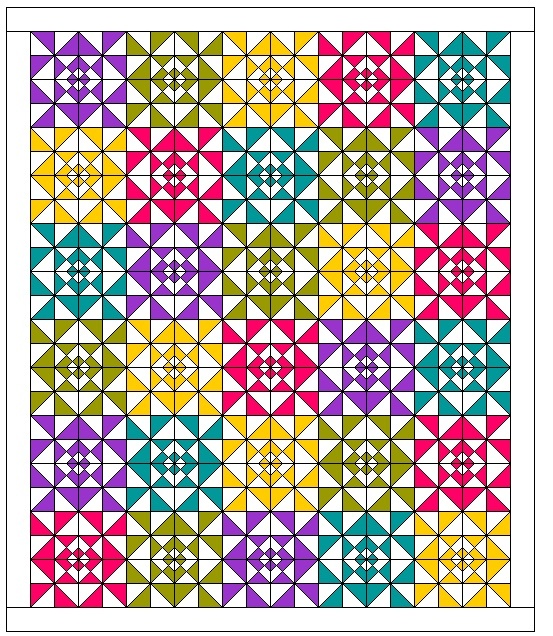 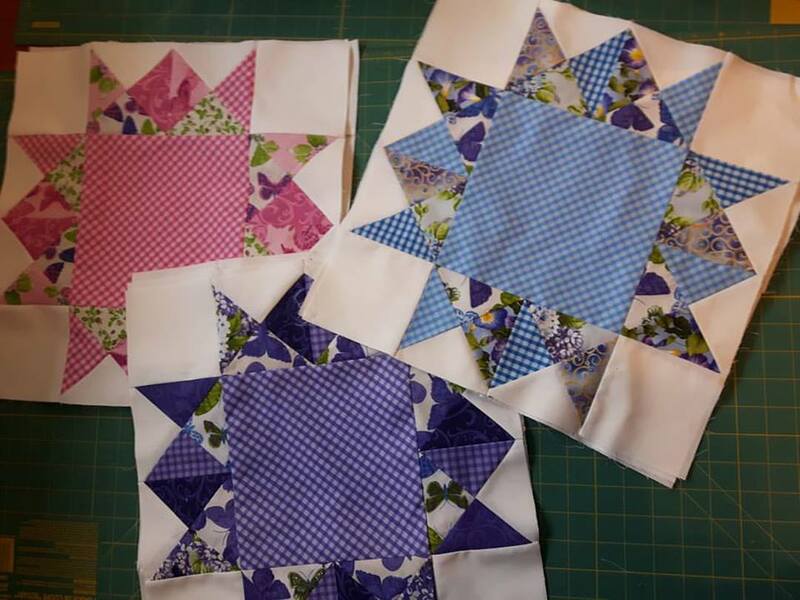 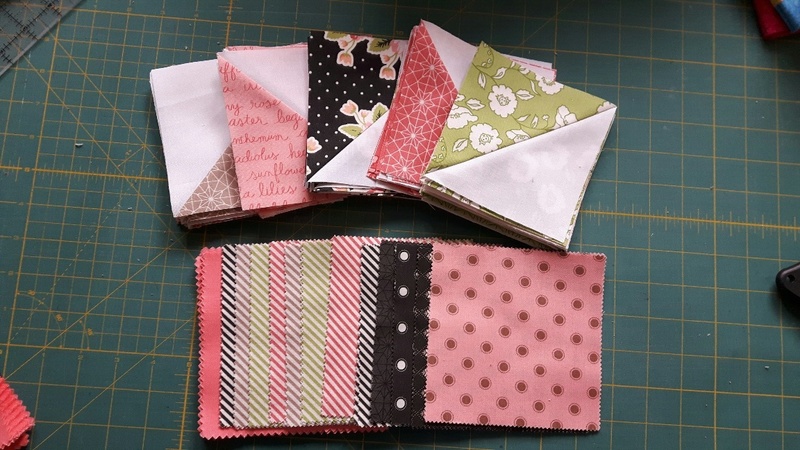 I loved the idea that by rotating either the corners of the blocks, or by alternating how the blocks are placed in the quilt, you can achieve such different results. 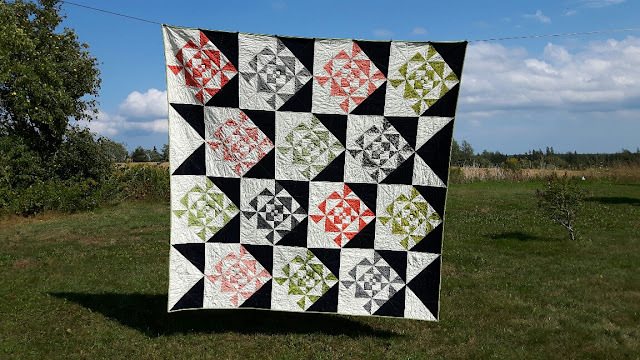 I'd love to see your " Add a Twist" quilts. 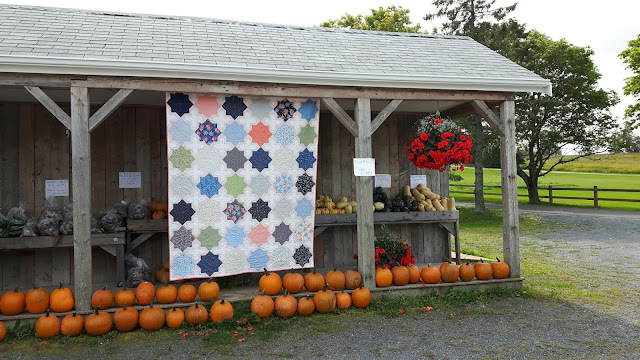 Please share your photos or questions with us. You can find the "Add a Twist" tutorial on the ModaBakeShop here. 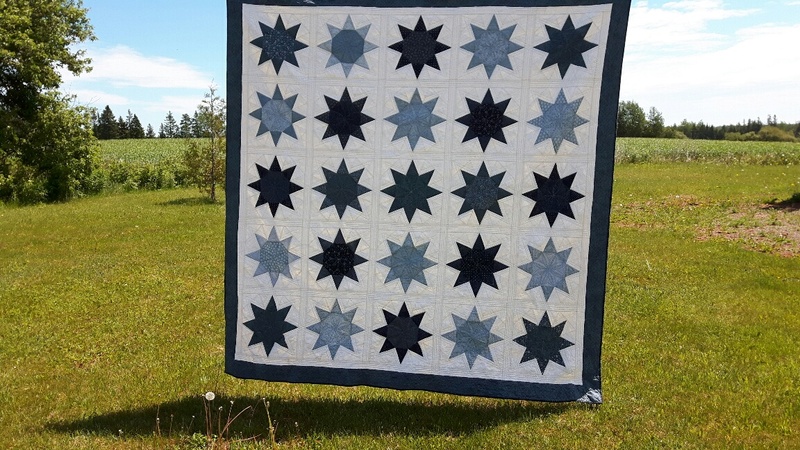 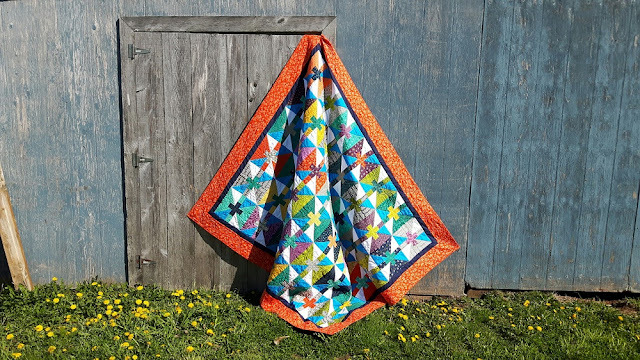 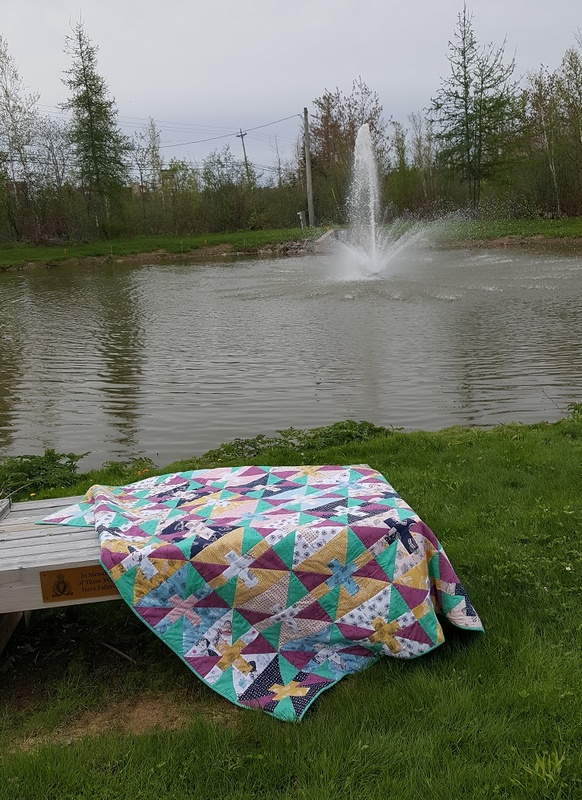 Whatwerks emailed me to share a photo of her similar quilt. 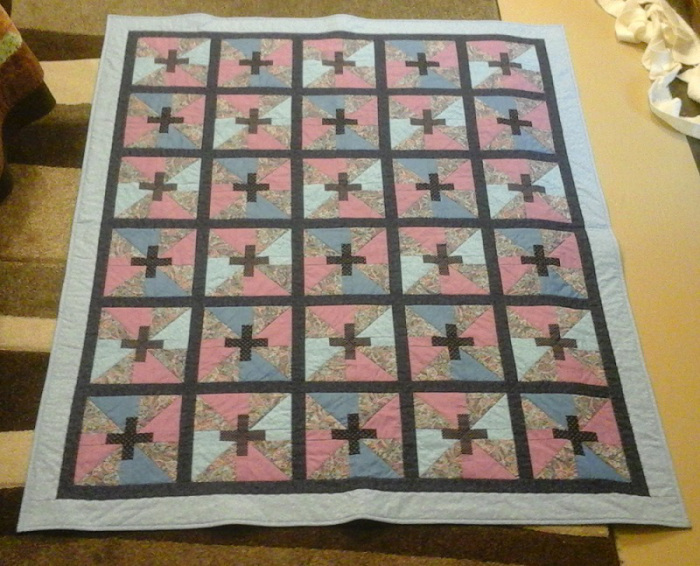 She stash - busted and added sashing. It looks great.